HI HAT ENTERTAINMENT will produce our FINAL FRIDAY NIGHT show on November 23rd featuring Teresa James & The Rhythm Tramps, Deke Dickerson & The Eccofonics, and Hot Roux featuring ALBERT LEE. We have had a great run. We could not have done it without you and hope you’ve had as much fun as we have. We LOVE, APPRECIATE and Sincerely THANK YOU for TEN FANTASTIC YEARS! 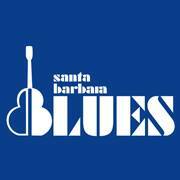 The Santa Barbara Blues Society is a non-profit organization dedicated to perpetuating and preserving America’s unique musical contribution to the world – the Blues. We are the oldest Blues society in the United States. Join us!